The name Paddy McAloon may not register but his band will, Prefab Sprout. Early on in their career they had a few hits, notably "Cars And Girls" and "The King Of Rock 'N' Roll" and despite not pestering the charts for the past decade are still together. 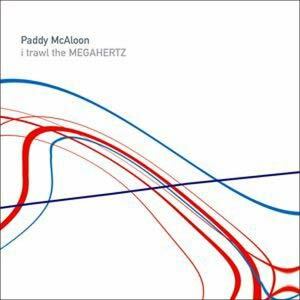 "I Trawl The Megahertz" was devised as early as 1999 when Paddy became partially blind. At the time he listened to a lot of Talk Radio and audio books and this inspired him to embark on his first solo album with the emphasis on instrumental pieces and experimental themes. If you like the unusual, dabble in the offbeat and hanker for originality then you'll find plenty to indulge yourself in this concept album, the concept being a cathartic reaction to a possible life changing set of unavoidable circumstances. How's this for an uncommercial song, the title track "I Trawl The Megahertz". Depending on your viewpoint or state of mind this is either a stroke of genius or Mr McAloon committing commercial suicide. At an unbelievably lengthy twenty two minutes this track features an unnamed American woman narrating a short story of human tragedy, love disappointment and heartache over a background of orchestral arrangements and synthesizers this is an incredibly ambitious opus. The spoken word idea is used with lyrical beauty and mystical enchantment and provides pearls of wisdom like "Happiness is only a habit" and "Light a candle at the shrine of amnesia". A repeated line of "this is the story of my life" may not help explain the ambiguity, but adds to the aura of bewilderment. A lovely intriguing piece of music with is simply adorable. "Fall From Grace" has the majestic epic feel that is common in composer Michael Nyman who is best known for his soundtrack work with avant garde film maker Peter Greenaway. The moody jazz overtones remind me of the score to Mike Figgis' masterstroke which was "Leaving Las Vegas". Encompassing a wide variety of styles such as military drumming (think Spandau Ballet's "Through The Barricades", a 60s style of nostalgia, well controlled arrangement and occasional but welcome bursts of electric piano. The electro undercurrent of "I'm 49" textures the pleasant melodic flow. Again it's ever so slightly jazzy and undeniably cinematic in scope. With broken up samples of presumably real life conversations and interviews "I'm 49" is a dissection of crumbling relationships and decaying marriage hence the line "I'm 49 and divorced". An unusual yet effective way of addressing a social issue which is normally left to mid afternoon talk show hosts who sensationalize such sensitive subjects. The unforgettable sound of Paddy McAloon's vocal appears on "Sleeping Rough" and it's a pleasure to hear his dreamy, enchanting dulcet tones. He sings romantically of growing a long and silver beard. It's a fairy tale and hippy ideology all rolled into one with help from an acoustic guitar and clarinet. You'll be delighted to hear that Paddy McAloon's eyesight is now fully restored (his detached retinas have been now been fixed). This album must have been part of the healing process. The reclusive Newcastle songwriter has succeeded in making such a groundbreaking album. There's certainly a lot more to Paddy McAloon than fronting Prefab Sprout, writing songs for Jimmy Nail and singing the theme to TV's Sunday night drama "Where The Heart Is"